Fashion Over Reason: You people work on commission, right? 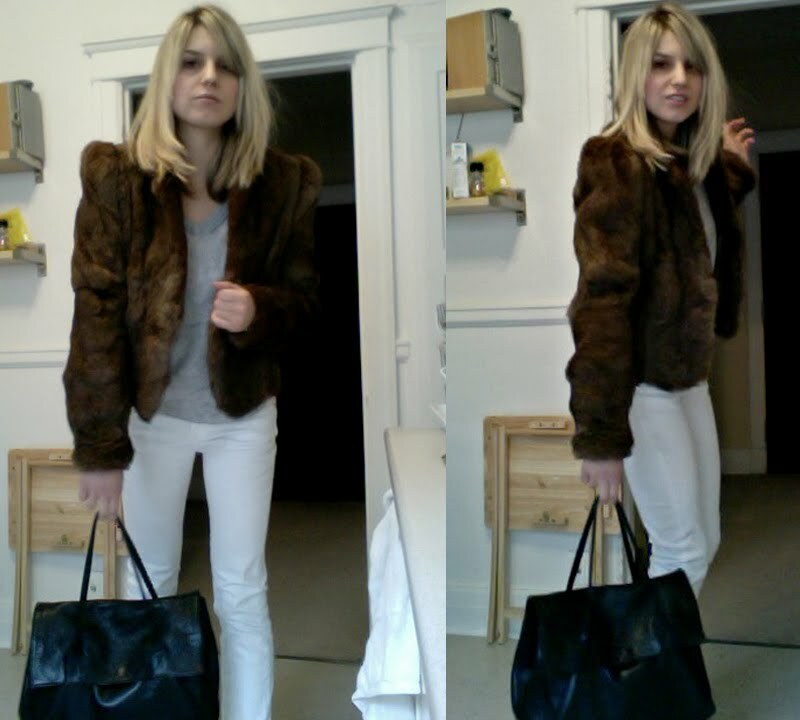 I've really been taking full advantage of this chilly climate to sport my beloved fur coat. It's seriously the ultimate layer of coziness. 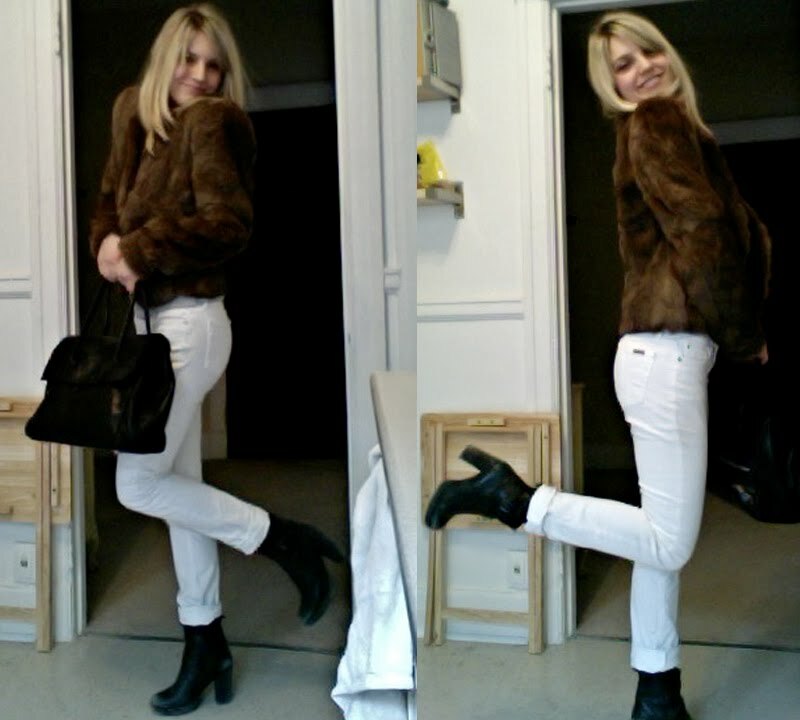 We went to pull some looks at Aldo for a photo shoot and upon exiting the store we couldn't help but snap some photos. I sort of felt like Julia Roberts in Pretty Woman. Wicked moment. i love your outfit! 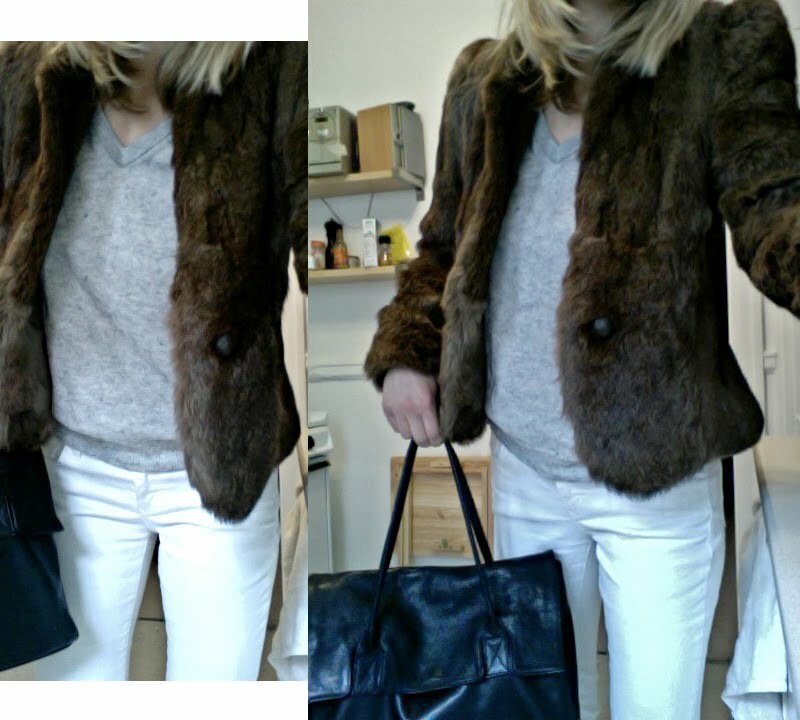 i'm totally taking advantage of getting to wear all my fur, i think it's the only thing I'll miss about winter. lovely outfit! what did you buy....? very laid back outfit, but glammed up w the jacket! I am in love with the grey and white combo on you and your blond hair! 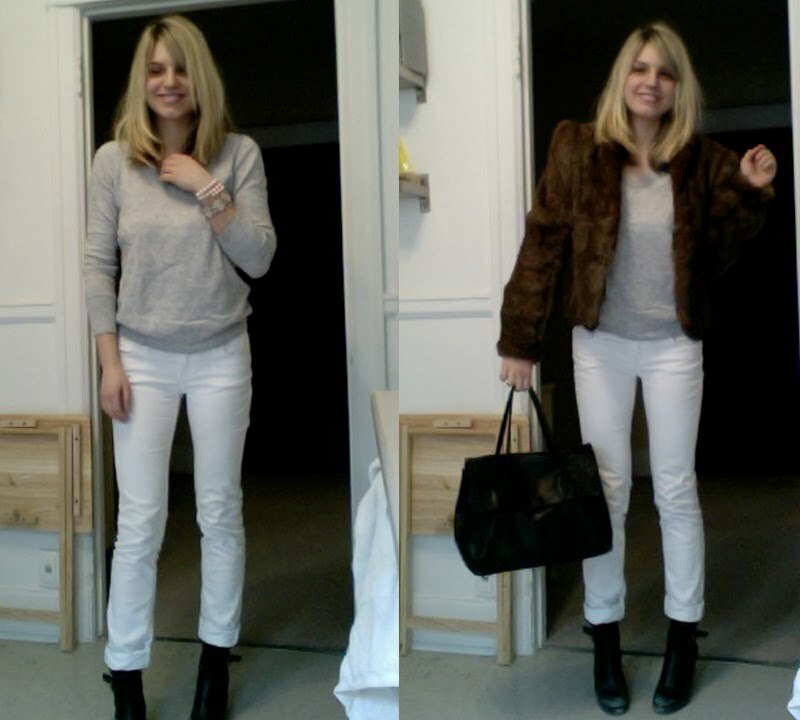 I'm pretty sure you're the only person i've ever seen pull off white pants in our winter weather! and the puffed sleeve detail on your fur jacket is so perfect. Seriously you look effortlessly amazing. this look is just perfectly suited to your style.! That coat really is gorgeous. And how amazing it is it get to walk out of a store with thatmany shoes. OK this is just amazing! haha how many boxes do you have there???? omg.. I went into the aldo outlet today and I wanted to get a pair but I decided to think about it instead.. but they had really good prices!! And your coat is seriously one of a kind.. look at the shoulders! it is so tailored! its beautiful and you wear it so well! I SAW the bobsled!! amazing, eh?! !1 they were all soo cute too! but did you see the mishap with the german team? It was right before the Canadians who ended up winning gold went. OMGOD: i couldnt believe my eyes!!!!!! they flipped their sled and the girl at the back fell out and went slidding like crazy while the sled turned over the girl left inside skidded down the track UPSIDE DOWNNNN!!!!!! looked so dangerous but they both ended up OK. totally scary though. really. I was probably still at the office lol cause i stayed late last night because this file ive been working on has been insane!! and so complicated so i ended up leaving just before 8pm. and the missoni esque dress i posted isnt the one i got but i imagine it's from the same h&m line. mine is orange, brown gold greenish but i think i like the zipper detail on that one i posted and the maxi length too so i might end up getting it as well if we get it in-store. have a great night, lady! oh! im moving next weekend but im taking a week off next week to get ready before the move and go buy all my furniture etc....cause im basically moving with my bed and some clothes lol! ill probably go m.i.a for a bit next week. I hope you're feeling better!!! any stomach bug is the WORST! id rather have a cold any day! i wash my hands compulsively!!!! lol! when i was younger i was like you and NEVER got sick, now in my twenties things are not the same lol! Can't wait to see all thoses shoes out off the box!!! 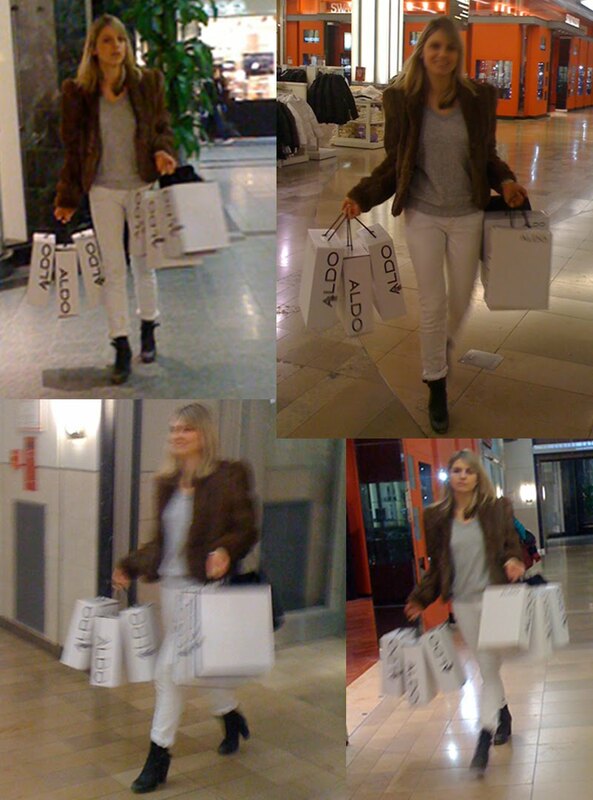 The Downtown store is suppose to open in a week (My old manager told me-cant wait because im zara deprived)Going to Laval is too far, and when i ask my sisters to pass by the carrefour one they seem to never see anything good.lol and the one at rockland never has anything good. hope i'll see one day at school, I'm always in the Astral building, because of group meetings and jury panel!And hey, we might be classmate in September if your are still at UQUAM!